The winter holidays are a special time of year – even if you’re on a planet that doesn’t have winter. Spec The Halls looks at the winter holidays – both real and fictional – from a speculative fiction point of view. Fantasy, horror, and science fiction take turns showing us this time of year from a slightly different point of view. This year’s anthology includes stories by Kelly Swails, Alethea Kontis, T. Lee Harris, Laura Resnick, Steven Saus, Chanté McCoy, Kristine Kathryn Rusch, Kerrie Hughes, Marian Allen, Patrick M. Tracy, Risa Wolf, Jess Hartley, Graham Storrs, Donald J. Bingle, R.T. Kaelin, and Sue Penkivech. 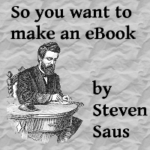 When you buy the book from Alliteration Ink, you get a ZIP file with the book in PDF, Kindle, and ePub (nook, Sony) formats. If you buy it from Amazon, you get only the Kindle format, and if you buy it from Barnes & Noble, you get only the ePub format. The proceeds of every sale go to Heifer International. Act quickly – this eBook is only available for a limited time! If you buy the eBook from Alliteration Ink using the “Buy Now” button, more of your purchase money goes to the charity. If you donated to Heifer International since 1 November 2011, see this link. If you just wish to donate through us, see this link. 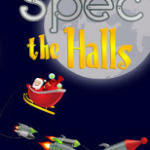 Spec The Halls - What We've Raised So Far ... and it's not too late to get your copy!